The spacious Dry Creek Z Hip Pack will protect your gear with TPU-coated fabrics and a waterproof/submersible one-way TIZIP zipper. This highly durable all-star features angler-driven considerations such as a net carrying system, adjustable side-hip compression straps that are compatible with the Simms bottle holder, pliers and other accessories and a padded waist belt with tuck away shoulder strap. 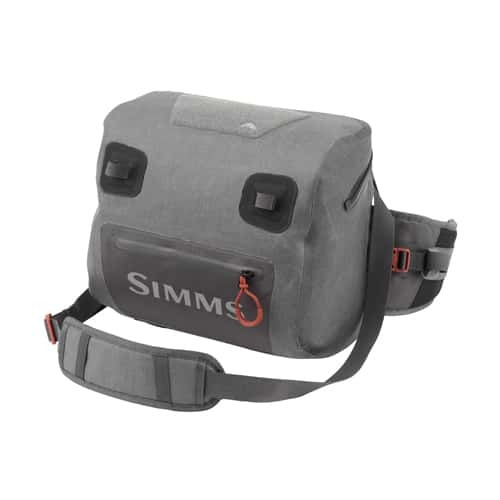 The Simms Padded Organizer nests inside this Z hip pack. CAPACITY: 11 L, 671 cu. in.